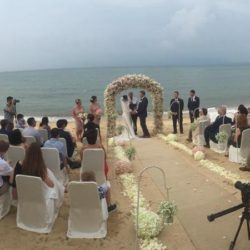 Today’s ceremony was at Melati, with it’s peaceful beach and tropical gardens it was the ideal location for this intimate celebration. 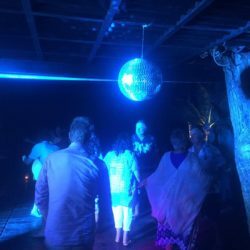 As you can see from the photos the party carried on way into the night; with the guests partying away under the moonlight. Top Wedding and Pool Party! Fun Wedding with this Crazy Bunch! 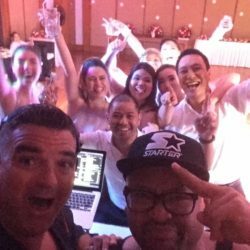 Had a great wedding last night with this crazy bunch at the InterContinental Samui Baan Talig Ngam resort. DJ Simon Solo Shout Out!